Earlier this week, Rockstar Games reported that they will not allow modifications to come online for Grand Theft Auto 5 on the PC. The news left many upset and disappointed, but it turns out there is nothing to worry about. The game has only been available on Steam since April 15th, and so far two mods have already been created and published. Modders across Reddit have begun discussing the possibilities of a jet pack mod, and even an underground dungeon modification that is located somewhere in Mt. Chiliad. We all expected amazing things to come from modifying GTA 5 on the PC, and so far I am not disappointed. This first alteration is a trainer that comes from a blogger who goes under the alias LinGon. The trainer mainly consists of simple modifications that include teleportation options, infinite ammo and health, super speed, the ability to generate money and various other functions. LinGon is an experienced modder who has created well over thirty different trainers for games such as Evolve, Mortal Combat X and Far Cry 4. Although this trainer is simple, this is only the beginning of GTA 5 modding. If you're interested, you can download the trainer on LinGon's offical blog. Here is a quick preview of the trainer in action. Anyone that has played Grand Theft Auto 5 on either the Xbox One or PlayStation 4 will be psyched to hear about this next modification. DrDaxxy released his revision to the game (via Reddit) that allows players to set a custom field of view specially for a first-person mode. Unfortunately, this does come with a few drawbacks. 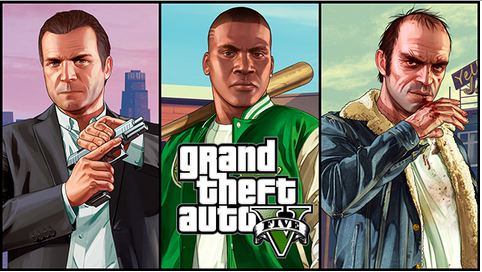 Unlike the trainer, this revision to the game lets players still have access to GTA Online. Not many people would see an issue with this, but as stated previously, Rockstar is not taking modding online lightly. Be sure to use this mod at your own risk. According to the developer, first-person driving, or playing in third-person mode, will remain unaffected. This is the beginning of something truly amazing. What mods do you want to see come to GTA 5 on the PC?